We were asked to help provide content for KFC's #HowDoYouKFC campaign. So we came up with a series of chin videos. And produced them. In our office. On our backs. With four-day-old chicken. 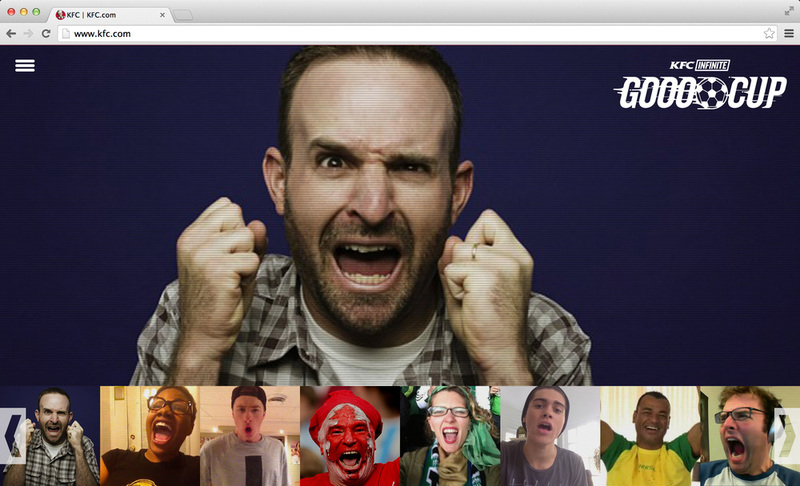 Our CCO liked this so much, he sent it to Cannes. 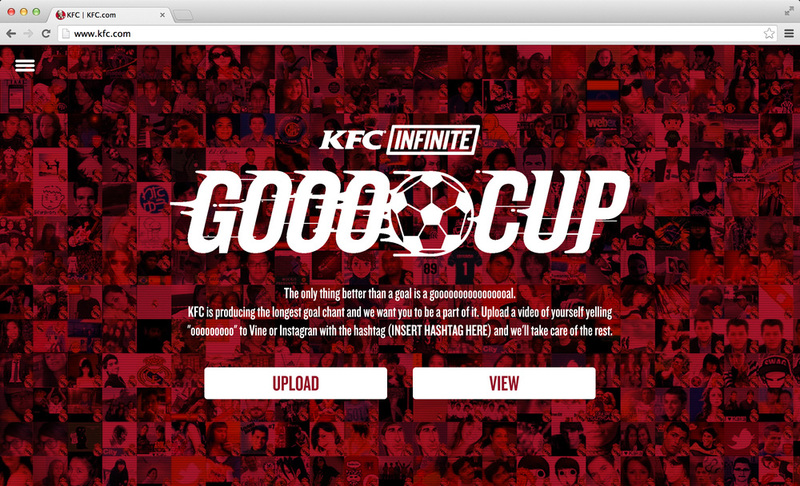 KFC wanted us to do something for the World Cup, so we came up with the Goooooo Cup. The world's longest "goooooooal" celebration. Users could upload their shouts of "ooo" on Vine or Instagram and we would chain them all together so they could participate in the fun. Much futbol. Such fandom.